After working for years in the AAA games industry, Jenna Hoffstein made the decision to go indie and form her own studio, giving her a unique opportunity to do something she’s always wanted to do: create games that make a difference. “One of the reasons that I wanted to go indie in the first place was that I wanted to make games that were somehow meaningful,” says Hoffstein, who founded Little Worlds Interactive. 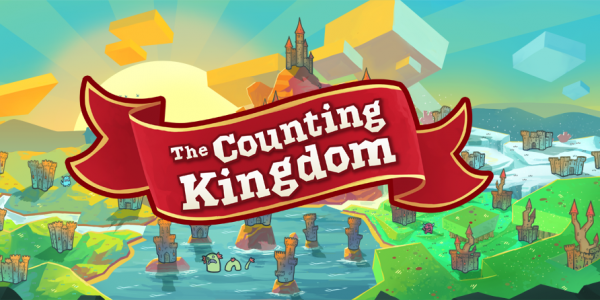 She recently received widespread critical acclaim for her charming kid-friendly math wizardry game, The Counting Kingdom. Meaningful can be a lot of different things to a lot of different people. Hoffstein’s explorations into what meaningful meant to her focused around creating a very artistic experience for players with her project The Golden Arrow, which was also a personal experiment to see how making a game on her own would turn out. Shortly after, a game idea pitched to her by an acquaintance inspired her to consider digging deeper into the world of educational games—something she enjoyed immensely in her youth. “That really for me was the light-bulb moment, because I grew up with the golden age of educational gaming in kind of the late 80s and early 90s where there was just an explosion of really awesome educational games,” she says. That once-booming market crashed not long after that golden era, however, and it never really quite recovered. Having naturally moved away from playing those games and toward more mature game experiences as she grew up, Hoffstein didn’t realize educational games were out of favor until she took a closer look. “I went to the app store initially with great enthusiasm,” she says. But her quest to discover the modern-day equivalent of classics like Treasure Mountain and Where in the World Is Carmen San Diego ended in disappointment. Where In the World Is Carmen Sandiego taught geography and other skills in a fun game. Designing educational games with kids in mind is one thing, but Hoffstein wanted to really get inside the heads of young players in order to create something special for them. Hoffstein spends some time tutoring in a third- and fourth-grade classroom. Helping a young student with her math each week turned out to be an invaluable experience, and one important and rewarding way Hoffstein has found to better understand and connect with the younger members of her audience. Research was a crucial aspect of fine-tuning her approach. Examining the current state of educational games on the app store and other marketplaces, Hoffstein just wasn’t very impressed with the vast majority of current offerings, so she set out to uncover further sources of inspiration in different kinds of kid’s media. She marched down to her local library and dove into a massive pile of books for 6- to 8-year-olds. What she discovered was fascinating: all of these books followed a similar pattern. “There’s a young protagonist, and they have some sort of special skill, ability, magic, or they’re just really brave or they’re just really smart, and there’s some sort of massive calamity or the world is coming to an end or somebody, somewhere is doing something really bad, and THEY have to save the day,” Hoffstein explains. Usually, this is in spite of the adults, she adds. In many of these books the adults are actively trying to hold the kids back, but the youngsters get around these obstacles, go off on all sorts of exciting adventures, and then ultimately save the day. Destroying monsters with math and magic! In designing her first big project under the Little Worlds Interactive banner, Hoffstein set out to harness those inspiring feelings of grand adventure and epic kids-saving-the-day storybook fantasy and spin it into a very different kind of educational experience from what she found on the app store. That end result, The Counting Kingdom, successfully captured the unique storybook vibe while weaving in mathematics in a way that feels fun, exciting, and magical. Hoffstein’s educational game-designing adventure is only just beginning. In the future, she hopes to find inventive ways to partner with teachers to bring her games into the classroom and inspire different kinds of learners to engage with games in an educational way. Nathan Meunier has been slinging words about video games for close to a decade, writing for more than 40+ publications ranging from IGN and Nintendo Power to What They Play and Official Xbox Magazine. Now he makes games, too! You can read more of his freelance writing, check out his books, or scope his other assorted creative projects over at NathanMeunier.com.